“I want to stay in the countryside,” says this 1973 poster. But in the end, very few did. Image courtesy of Maopost ( ). Born and raised in China, Sasha was forced with her family from their home in Guangzhou at age nine and sent to a small village in Hunan Province. When she was permitted to return, it was to a job as a mechanic in a candy factory. She joined the underground protest movement, and due to her “counterrevolutionary” writing, the Chinese government sent her to prison for a year. After China emerged from its madness, she earned her B.A. and M.A. degrees in history at Peking University. In 1987, she fulfilled a lifelong dream and went to the U.S. to study. She earned a Ph.D. in sociology from Harvard University and has held teaching posts at UCLA, George Washington University and George Mason University. She also worked as a manager for Radio-Free Asia and on democracy-building projects for the Solidarity Center, which promotes workers’ rights worldwide. Sasha currently heads the China Branch of the Voice of America. 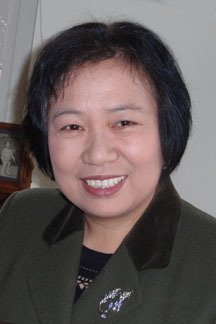 She is the author of Born American: A Chinese Woman’s Dream of Liberty (Nimble Books, 2009; see the website here: ) and her own Chinese-language blog (see here: ), which, together with her articles in the Chinese press, has attracted millions of readers worldwide. 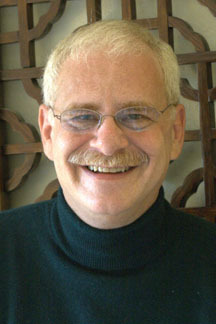 A writer, historian, retired corporate executive and a career “China hand,” Scott has an undergraduate degree in history from Princeton University and a master’s degree from Harvard University. Fluent in Mandarin and conversant in Cantonese, he lived in Taiwan, Hong Kong and China for eight years and reads and writes Chinese. He learned the art of Chinese cooking in Taiwan. Scott has worked as a legislative assistant to a member of the U.S. Congress, lobbied the Chinese government on behalf of American business, managed a multinational PR agency in China, directed communications for a Fortune 50 company and taught English and Chinese to college students. He is the author of The Third Degree: The Triple Murder that Shook Washington and Changed American Criminal Justice (Potomac Books, 2018), Tong Wars: The Untold Story of Vice, Money and Murder in New York's Chinatown (Viking Books, 2016; see here: ), The First Chinese American: The Remarkable Life of Wong Chin Foo (Hong Kong University Press, 2013; see here: ), Three Tough Chinamen (Earnshaw Books, 2012; see here: ), the best-selling Chinese Business Etiquette (Hachette, 1999; see here: ) Dealing With the Chinese (Warner Books, 1989) and Mandarin Chinese at a Glance (Barron’s, 2006; see here: ). He has also published articles in Smithsonian magazine, the Asian Wall Street Journal, the Washington Post, the Seattle Times, the China Business Review, the Jewish Daily Forward and several other publications.